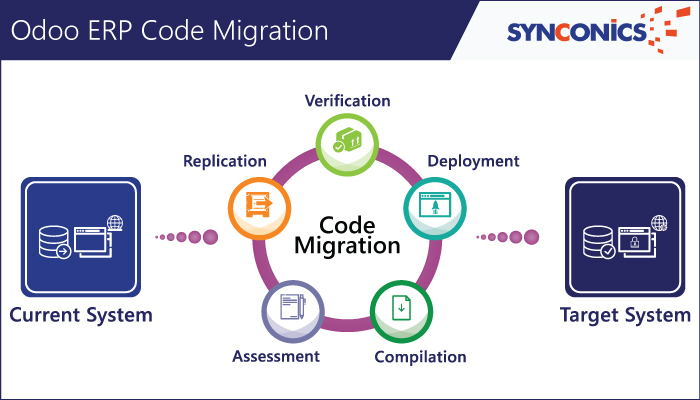 Odoo ERP Migration | | Synconics Technologies Pvt. Ltd.
Why would you migrate to new Odoo versions when your ERP system is fully functional and fulfilling your business requirement? As Odoo is evolving with new features to increase productivity, it adds-on new modules with changing trends. With extensive research and the problems faced by many businesses at grass-root levels, Odoo updates its new versions with localized solution. For example every country has different taxes and tax structure, in the latest version 11 current and accurate charts of accounts, taxes, legal reports, electronic invoices, API code for tax requirement, UBL has been developed for localization for some European countries. Writing script feature (right to left) is developed for Middle East countries. Localization development has been done for Mexico; electronic conversation links to PIC available in enterprise version of Odoo 11. 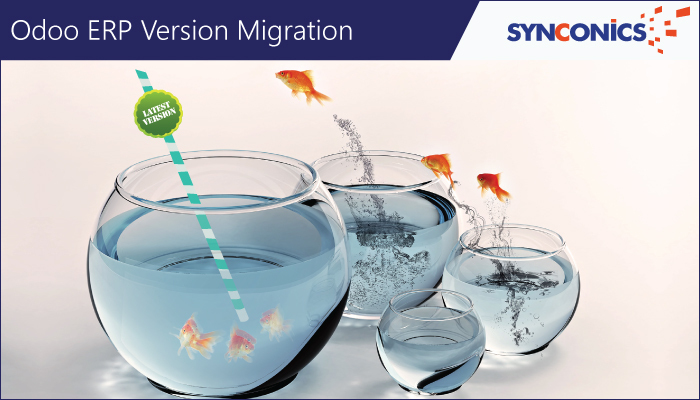 Companies look forward for their requirement and if it’s available in new versions they go for migration. Below are the steps that are needed on migration. When we are taking about database migration, we need to fully backup the databases including custom modules. Step-by-step migration: Step-by-step migration script is run from current version to next version for eg. (7.0 to 8.0, 8.0 to 9.0, 9.0 to 10.0). Fix Issues at the time of migration: During migration if an error occurs, it needs to be resolved first and after that the same process is run again. After migration views, menus and data are checked with the older version, if the functionality doesn’t match with the original then they are fixed again. If the data doesn’t match with the original data then the script needs to be imported from the older version to new version. Final Migration: Once all the data and functionality is matched with older version then it is finally migrated to production environment. Older version of Odoo codes are retrieved from custom-addons like Github, Bit Bucket, SVN etc. A new database is created and all custom modules are installed. The older versions’ customized code and their functionalities are analyzed from client’s document. A test case is prepared related to all functionalities. Source code for the latest version of Odoo. Online coding environment is set-up where migrated modules’ codes are pushed. List out modules to be migrated priority wise. Check new modules functionalities with older version of production database. New functionalities are also added or some customization is also done as per client’s requirement. After completing code migration, test migration code with old version. Check all functionalities work fine in testing environment. All issues related to code migration are fixed and after resolving code is finally migrated to production environment. 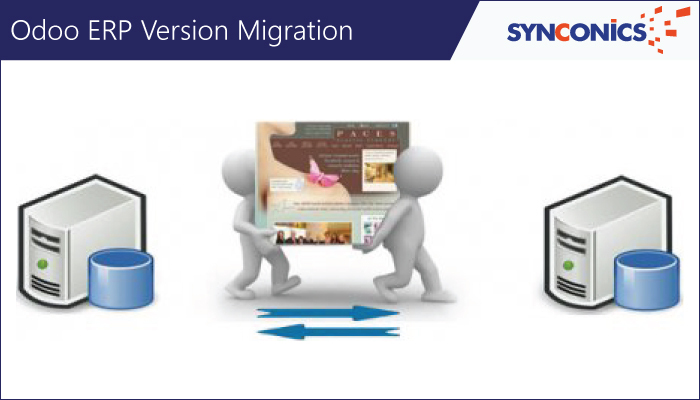 For migration to new versions please email us on: contact@synconics.com or Skype: synconics.technologies or call us on: (+91)942-686-4274 to know more and how best we could associate.